Waldo's Blog - Microsoft Dynamics NAV Convergence 2012 Round Up - NAV 2013 is coming! Convergence 2012 Round Up - NAV 2013 is coming! It's hard to follow convergence when you're not actually there .. or you don't take the time.. . And I didn't. I have gathered bits and bytes from various resources, rumours, ... . Makes me want to go back in time, when I was actually there and shared my experiences . Due to the fact that MVP's are not invited anymore .. this has become too expensive for me. Anyway, people are there .. and people seem to be enthusiastic. :-) There are lots of feeds, tweets (#conv12), queets, facebook messages, .. and I must admit .. I hate all the distributed, chaotic "social" media messages. Hard to get really concrete info .. . I just wanted to share some links with you. 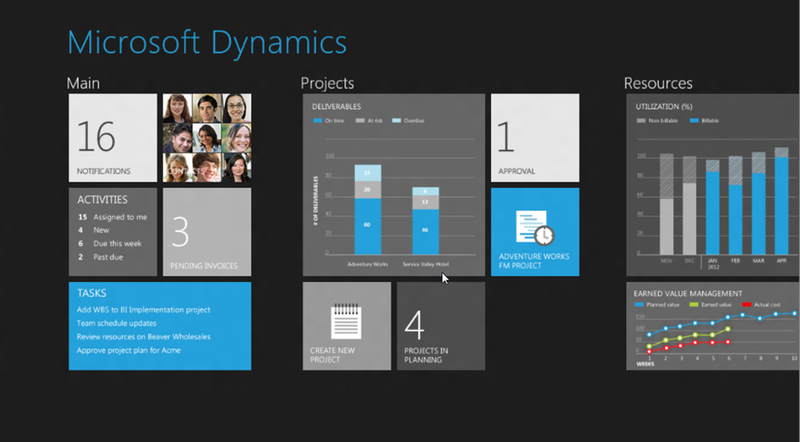 First of all, there is a lot to find on the Dynamics NAV Team Blog. Since the start of Convergence, they're posting daily updates (kind of like what I did a few years ago) .. which are always nice to read :-). You can read there, for example that NAV7 is now officially called "NAV 2013". My first reaction was - really?? - do we really want a product name with the number "13" in it? Yeah, well .. It's most probably just me .. and it's not "13", but "2013", isn't it? (but still...). I guess that's still (a far?) future. You're the one to say if it's cool or not .. My opinion - I don't know if we want a new user experience again (i'm not sure everyone is already used to the RTC.. ;°) ). Most probably, the best resource you'll have from Convergence, is the "Virtual Convergence", where you'll find all the recorded sessions .. . I didn't check the sessions myself yet, but I'm sure you can find tons of stuff there about the new Dynamics NAV on Azure capabilities, the new NAV 2013 client stuff, the Web Client, ... . Tons of interesting things to see .. just make time for it ;-). As Mark Brummel also stated in his latest blog .. now it's all out in the open! Customers have seen it, so potentially everyone has seen NAV 7 / 2013 .. so we (community nerds) can share stuff as well .. finally :-). Tons of things to blog about! So .. stay tuned .. watch the recordings, check out everything that is to check out .. or just sit back and check my blog once-in-a-while ;-). Hope to be part of Convergence next time in New Orleans! My opinion? "Nav 2013" is OK with me, but I definitely do not want buttons as big as a fist in the GUI of an ERP system. That's just ridiculous!